Vida Pokua is a partner at Adomfe community in the Adomfe Epicenter in the Asante Akyem South District of the Ashanti Region of Ghana. 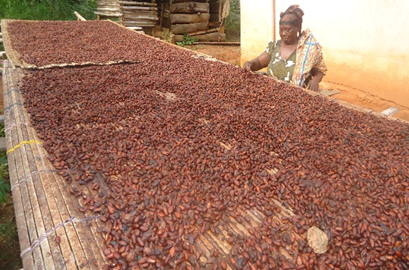 Vida Pokua is a 61 year old farmer, specialized in cocoa production. Vida had an encounter with THP about 16 years ago. Before then, she had 5 acres of cocoa farm as her source of income. She indicates that she did not see farming as a business until she participated in THP’s VCA and Agricultural education sessions. “I was challenged as a woman, after participating in the education sessions, to do more than what I used to do,” she said. As a result, Vida committed herself to the activities of THP at a time the husband had divorced her. She decided to make farming a business and therefore contacted the Micro finance for credit to expand her farming activities. She invested the credit facility she took from the microfinance in her farming and aimed at expanding her cocoa farm. As at now, Vida has expanded her farm to 19 acres. 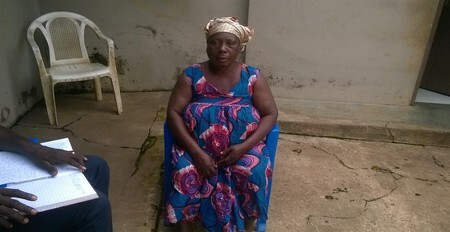 She has been able to put up a 4-bedroom house through the proceeds from the cocoa farm. As a single mother, she has been able to take care of her three children and a grand child who is at the university. Vida has also contributed immensely to the development of her community by serving on the unit committee as a treasurer for over sixteen (16) years. During her tenure, the Adomfe community witnessed a number of development projects such as market, electricity and construction of 3-bedroom teachers’ quarters. She also played a key role during the construction of the epicenter building. In 2014, Vida was adjudged the best cocoyam farmer in the Asante Akyem South District. Vida’s vision is to see her grandchildren educated up to the university level since she did not have that opportunity, hence the need to work very hard. Vida is an inspiration not only to her own community but to all of us!